they can be full of surprises…..
no path runs in a straight line. 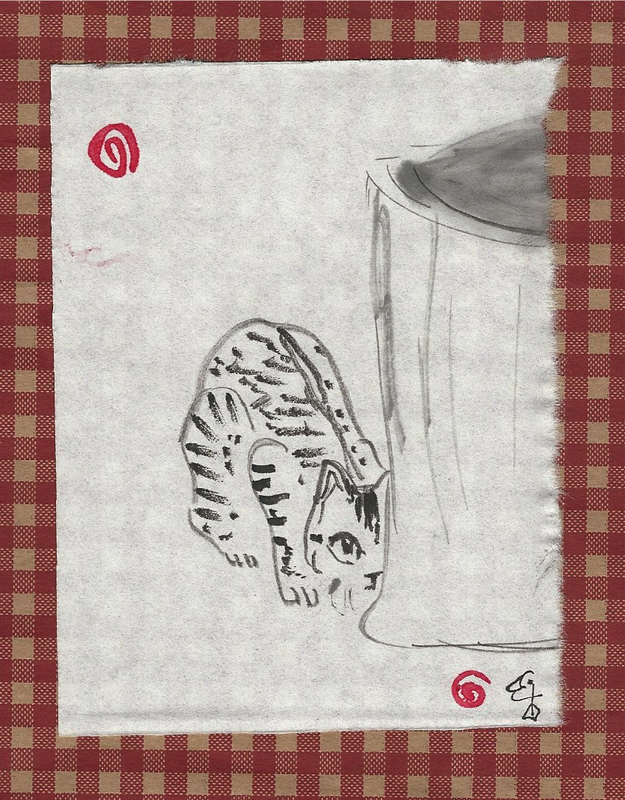 This entry was posted in The Now and tagged artist, cat crouching, cats, corners, Elizabeth Teal., hope, ink brush painting, interfaith, interspecies spirituality, interspirituality, life, painting, paths, poetry, spirituality, sumi-e, tabby cat, wisdom. Bookmark the permalink.